OAR Memorial Reef Certificate displaying your reef?s GPS location. This is our smallest Memorial Reef and weighs approximately 150lbs. 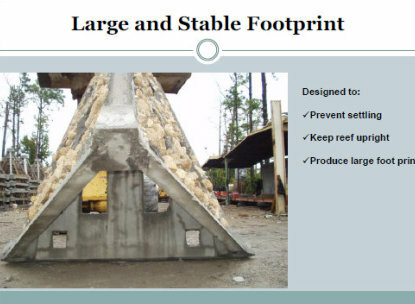 This Reef is constructed and then permanently attached to a larger Reef that is already deployed. OAR Reefs Memorial Certificates displaying your reef?s GPS location. One of our Large Reefs that have already been deployed but are unnamed. We have various size Reefs available for naming. 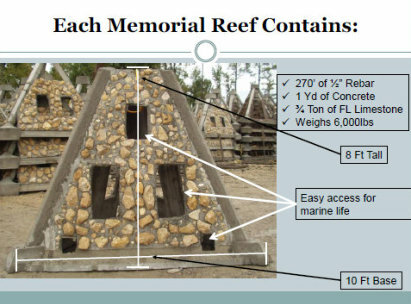 We can create a Memorial Reef of your design. OAR staff will work with you to help develop a solution that ensures your Reef will be unique but also possess the durable characteristics of our other Reefs.